These DVD programmes offer expert tuition in the essential skills of worship guitar, keyboard and vocals. Get started on an amazing musical journey! Each DVD offers 2 hours of tuition. 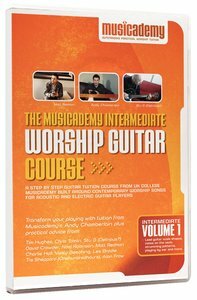 About "Musicademy: Intermediate Worship Guitar Volume 1"